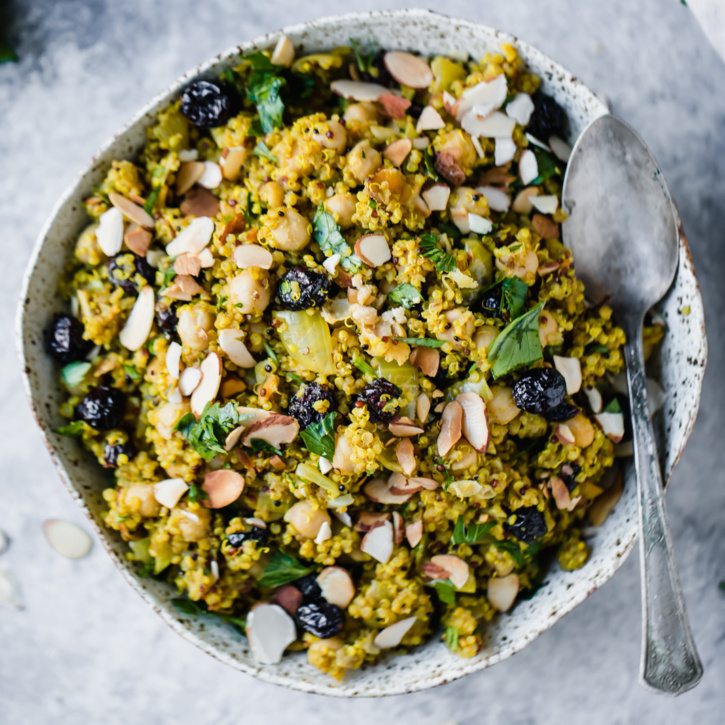 Delicious, easy quinoa salad recipes that are perfect for weekday lunches! These flavorful, protein-packed salads will be your new go-to quinoa recipes. Double a batch to feed your family or bring to your next party. 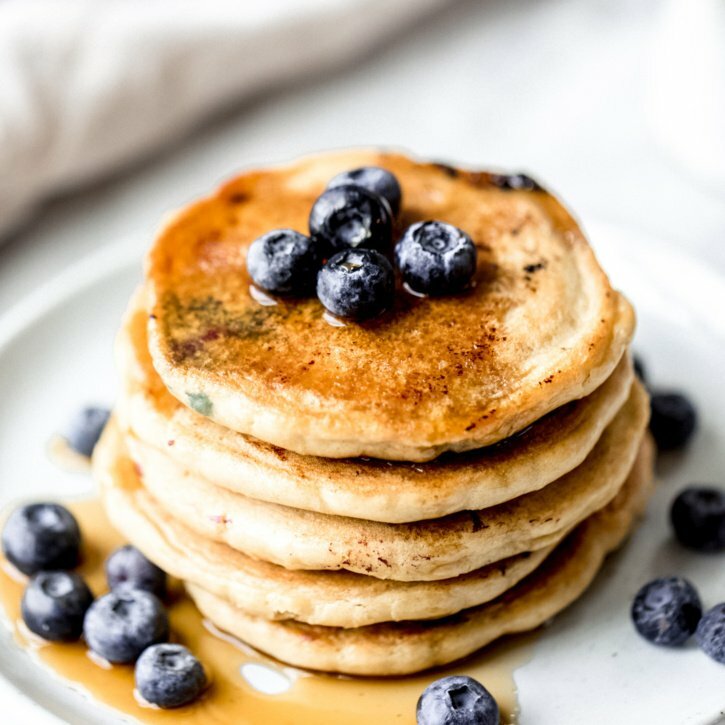 Fluffy almond flour pancakes with only 5 ingredients: almond flour, baking soda, coconut milk, eggs and vanilla extract. A great keto and low carb pancake recipe. Options to add blueberries or chocolate chips! 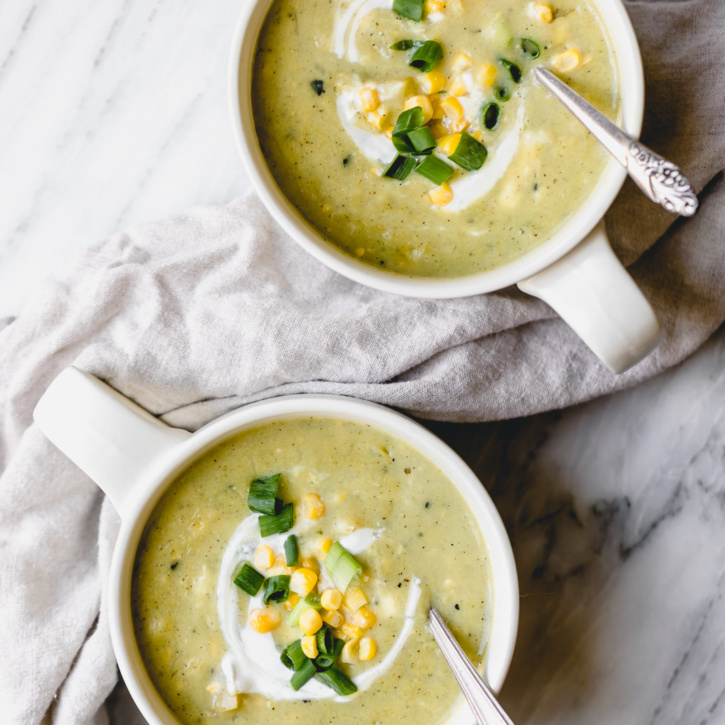 This easy vegan-friendly corn chowder recipe is SO delicious, thick and creamy yet there’s no cream. The secret is blending half of the soup. Perfect for using summer sweet corn! 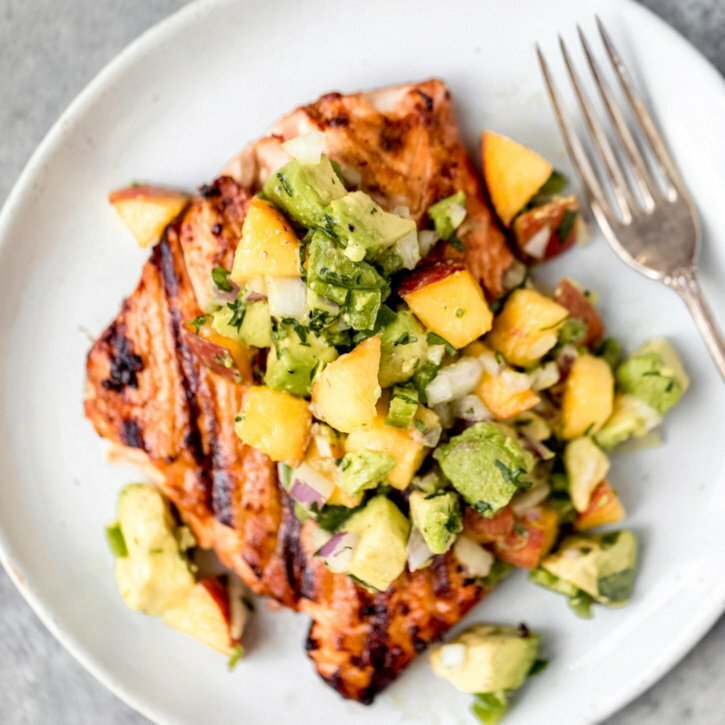 Delicious baked sweet and spicy firecracker salmon topped with an unbelievable delicious peach avocado salsa. A healthy weeknight meal that everyone will love! 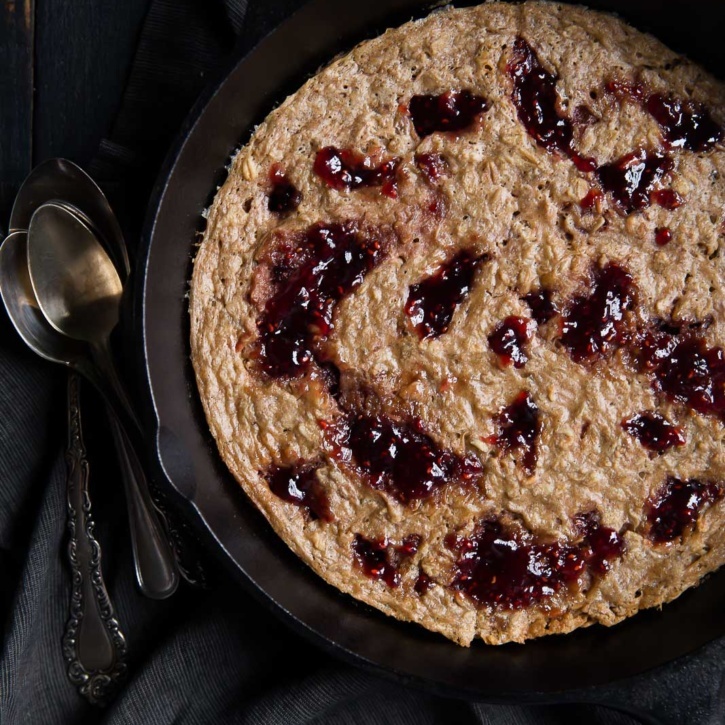 Easy to make peanut butter and jelly oatmeal bake that’s naturally gluten free and dairy free. The perfect way to enjoy a childhood favorite for breakfast. Over 8g protein per serving. Great for meal prep! 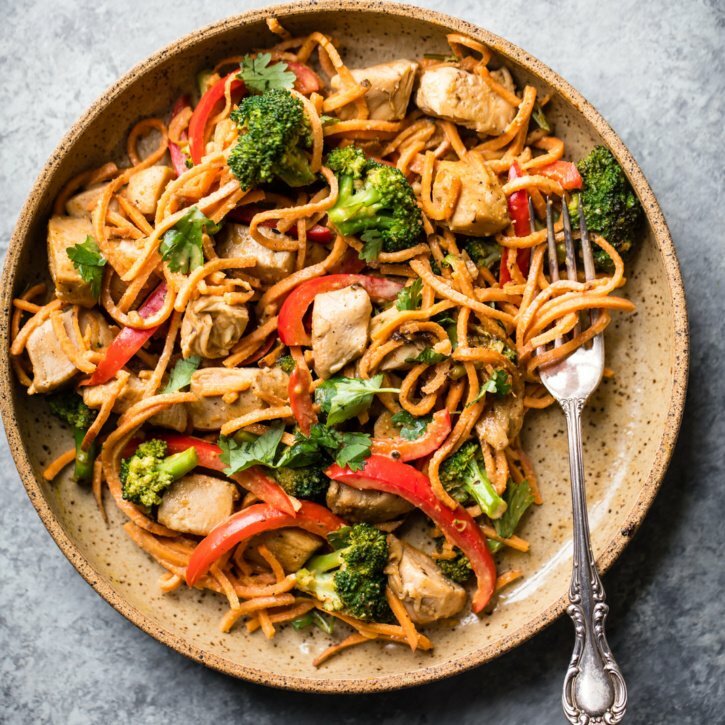 Thai peanut chicken sweet potato noodle stir fry packs in lots of nourishing veggies and only takes 30 minutes to make. Easy, healthy and delicious! Great for those doing low carb or grain free/gluten free. 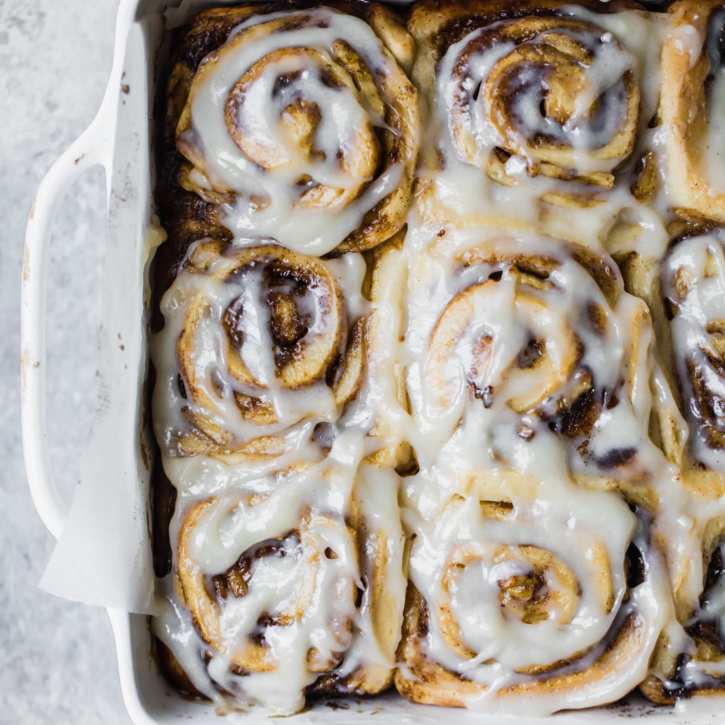 Meet the world’s best vegan cinnamon rolls: vegan banana bread cinnamon rolls! A cross between a cinnamon roll and banana bread, these fluffy, soft cinnamon rolls are homemade and make a delicious brunch or treat! This recipe is in partnership with Almond Breeze. 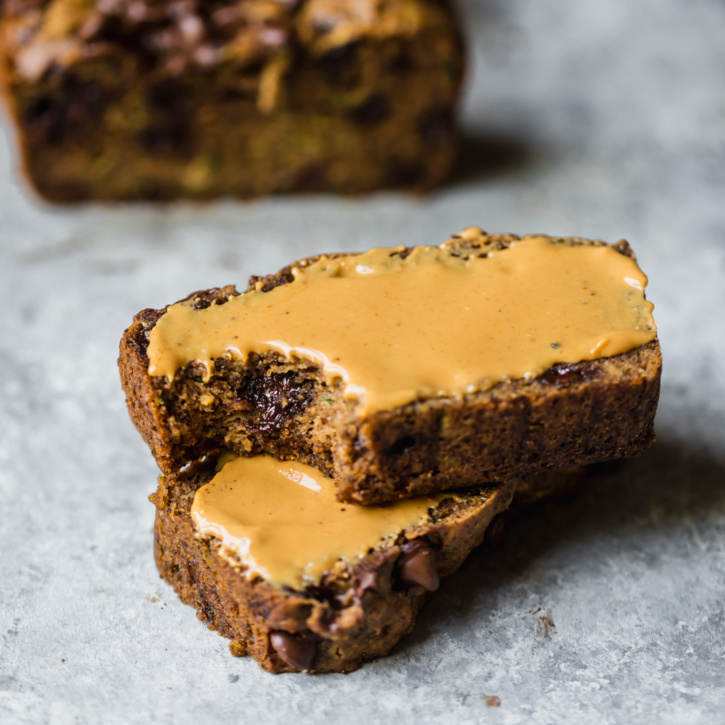 Low carb grain free peanut butter zucchini bread made with simple, nutritious ingredients. There are two options to make it: with coconut flour or with protein powder! Soft, fluffy, moist and a good source of protein & fiber. 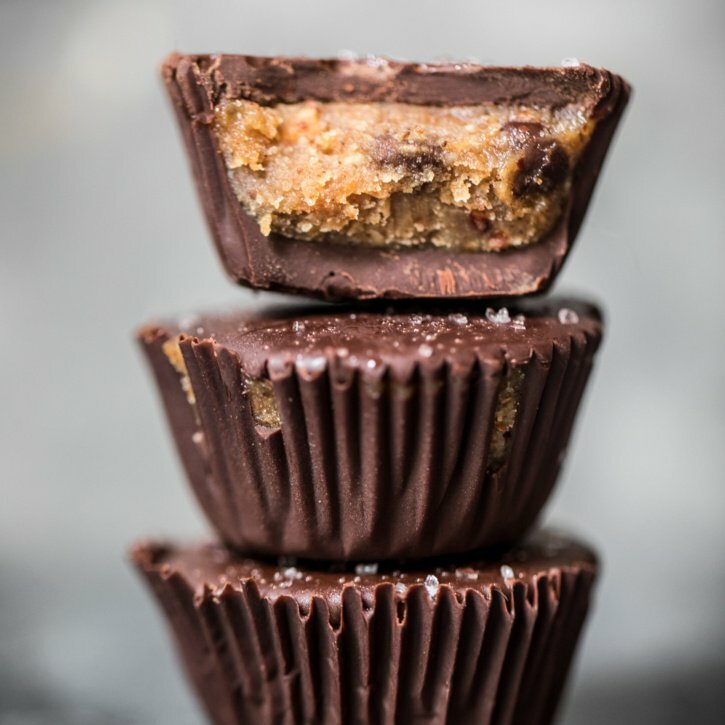 When vegan chocolate chip cookie dough meets a chocolate cup, you get these delicious no bake cookie dough cups! Keep them in your fridge or freezer when you need a sweet healthier treat. This recipe is in partnership with Almond Breeze. 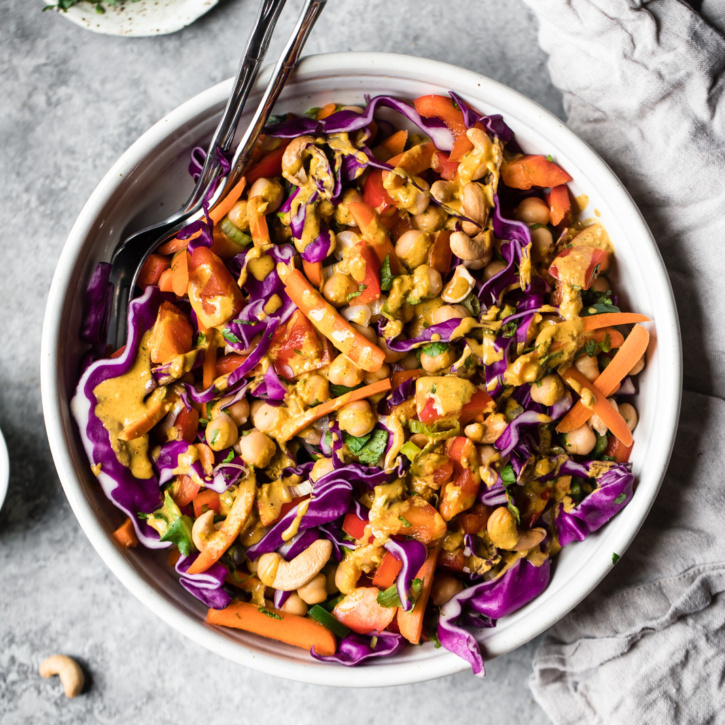 Beautiful plant-based Chopped Thai Chickpea Salad with a super flavorful curry peanut dressing. Healthy, easy to make and a great way to get your veggies in!